Will Skin Revitalize Night Radiance Cream Make You Glow? Every woman wants youthful, glowing skins that is soft to the touch and wrinkl- free. The skin care market is overwhelming though, with so many products to choose from and conflicting reviews it is hard for consumers to discern skin care scams and product “promises” from the truth. We breakdown reviews for users so that they are easy to ready and understand. We aim to reveal the science behind product ingredients and research real user reviews to make sure you are well informed before you purchase any products. For every scam, there is a great skin care product out there that uses safe ingredients and delivers real results to users. It’s time to roll up our sleeves and see how Skin Revitalize Night Radiance Cream measures up. How does the product claim to work? The Avon Element’s Skin Revitalize Night Radiance Cream increases the pace of skill cell regeneration to create a fresh even skin tone with consistent nightly use. It packs moisturizing power and anti-inflammatory ingredients into one convenient little jar. 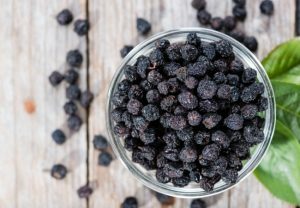 Ingredients like glycerin, aronia melanocarpa fruit juice, and zizyphus jujube fruit extract work to ramp up collagen production. 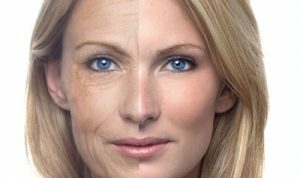 Collagen is what keeps skin looking supple and young, the better your collagen production, the younger skin will look. This products ingredients specifically targets collagen production and moisture to try and reduce signs of aging on the face and neck. The product has been clinically tested, but there is a lack of significant research to back all of these ingredient claims. While there are a lot of positive things about the dual moisturizer and anti-aging night cream, there have been a lot of mixed reviews about the product since its release. The flaws in the product seem to be consistent with different users that suffer from chronically dry skin. Do not purchase this product if you already suffer from dry skin. If you are merely looking for a collagen boost or just a new night cream, this may be the one for you. To apply, move the product in an upwards and circular motion starting at the neck after washing your makeup off at the end of the day. We’ve said it a million times before and we will say it again, make sure to test patch on the back of your hand or a small portion under your chin to make sure you are not allergic or sensitive before going full throttle. This goes for any new product no matter how “hypoallergenic” it claims to be. Different skin need different ingredients.